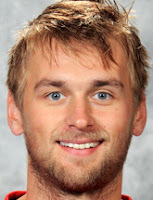 On March 31st in 2013, Detroit Red Wings defenseman Jakub Kindl directed the puck from his skate to stick before errantly backhanding it over Jimmy Howard's left pad, thanks to a timely slash by Chicago Blackhawks forward Jimmy Hayes, giving Chicago it's third goal in 99 seconds and a 3-0 lead less than five minutes to play. 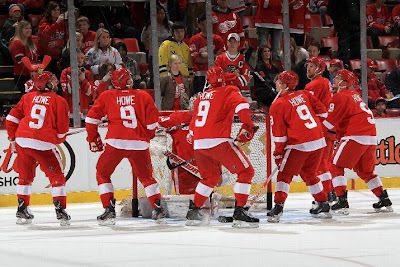 Kindl's own goal, credited to Dave Bolland, came on an Easter afternoon game celebrating Gordie Howe's 85th birthday in which the Red Wings wore Mr. Hockey's retired number 9 jersey during warmup. 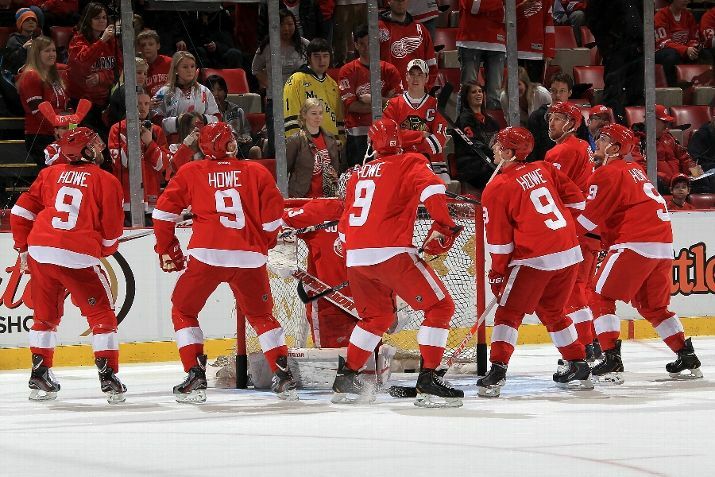 Chicago added four more markers to beat Detroit during the 724th meeting between these 87 year rivals by a score of 7-1 in Hockeytown.